Are the insides of wardrobes to be plastered? Will the walls be tiled, painted or given another finish? Is there any feature or spot lighting to be installed? What thickness of insulation will you require? Plastering a loft is a skilled and difficult job. There are lots of tight spaces and difficult angles to overcome. Sky Blue Lofts work with plasterers that have many years’ experience undertaking attic conversion work thereby ensuring you are left with a fantastic finish inside your loft. Showing off the investment in your home. It is important to plan and design your loft well. Knowing where electric sockets, wardrobes, feature or spot lighting and any plumbing impact upon plastering. Our team of plasterers are highly skilled in external render work. 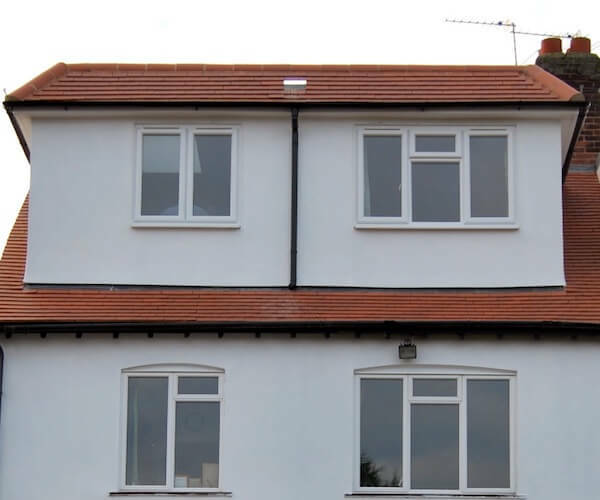 Therefore, if you require a render finish, our team have the skills to give you a dormer finish of your choice. From flat and smooth finish, sponge finish or pebble dash to complex patterns. Maybe you have the skills for some of the loft conversion and need the complex elements taken care of. Sky Blue Lofts are here to aid and assist you at all stages. The external render, is chosen to blend in with existing render or to complement other finishes on your property. There are countless choices of finish and colour. This can be discussed during the free home consultation.